This is from a picture I took when we were in the south of France. The scene was typical but impossibly romantic. 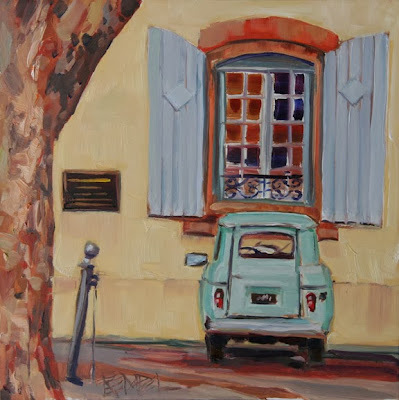 The plane tree, the little car and that window. Sigh. It brings to mind the saying: Happy memories never wear out. 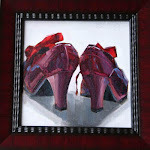 Love this painting Kim! You're inspiring me to paint from some of the 4000 photos I took this summer in Spain and Italy. Why have I not done that yet??? Toutes mes félicitations pour cette vente. J'adore cette vieille 4l de chez Renault... J'en avais conduite une autrefois! Une atmosphère qui me plaît beaucoup.